Magento 2.3.1 Has Been Officially Launched! - What to expect? Home >Magento 2.3.1 Has Been Officially Launched! Magento 2.3.1 Has Been Officially Launched! The publishment of Magento 2.3 was such a stepping stone of the revolution of the Magento platform. 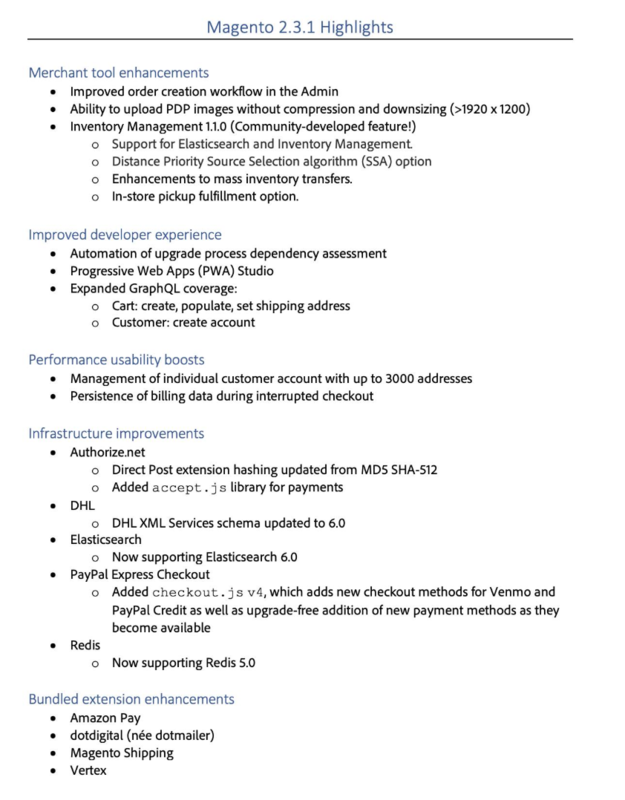 And recently, Magento has launched another version. 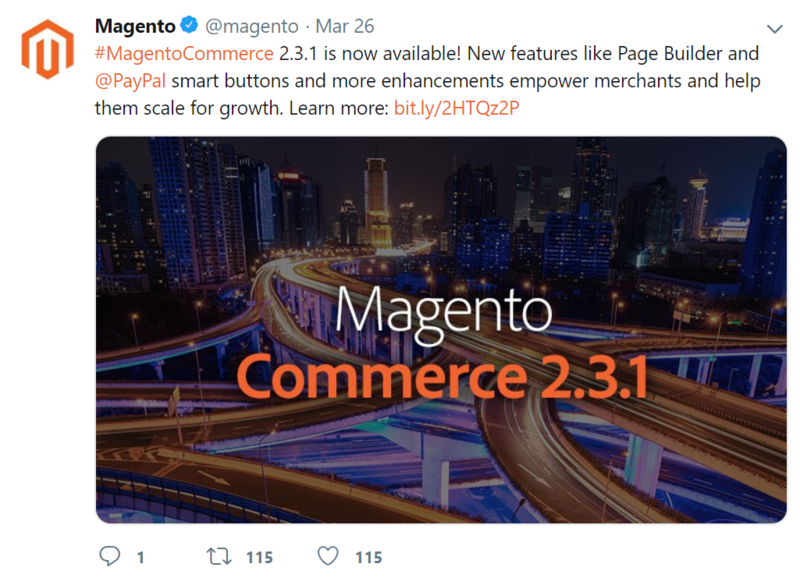 This version is not, perhaps, a big jump when compared to the former version but it is a little bit more perfect: Magento 2.3.1. 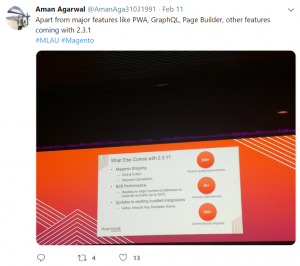 Magento first introduced this version at Magento Live event held in Australia on February 12th. 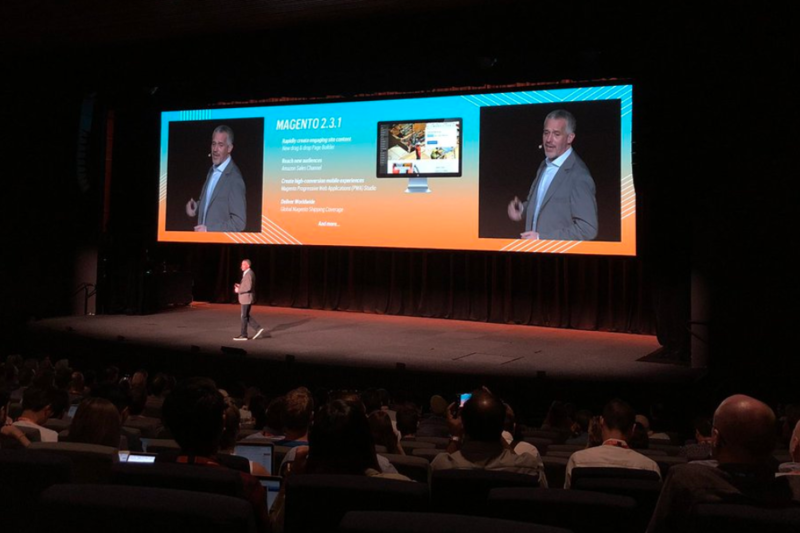 Rapidly creating engaging site content, reaching new audiences, creating high-conversion mobile experiences, delivering worldwide… are all promising upgrade told by Jason Woosley, Senior Vice President of Magento Commerce. 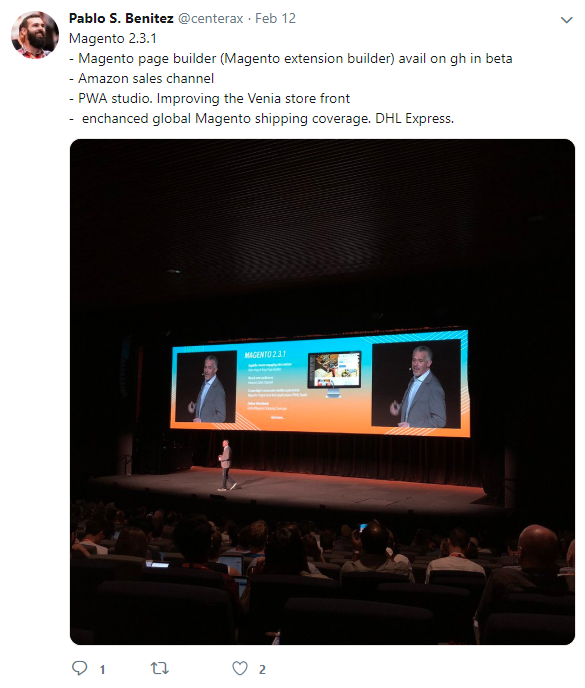 Magento also came up with a notification that this version would drop in March, which drew a lot of attention from the Magento community at that time. And now, this version is completely available! What can we expect from this version? This version may contain some bugs but we should accept that it is the most complete product until now. I hope you have acquired a good knowledge through this post. If you have any comments, feel free to share with us. Subscribe to our newsletter in order to keep track with any latest Magento news!